The level of workmanship and detail is really very impressive, and the moulding quality looks to be excellent, with no defects worth mentioning on the random sample supplied. 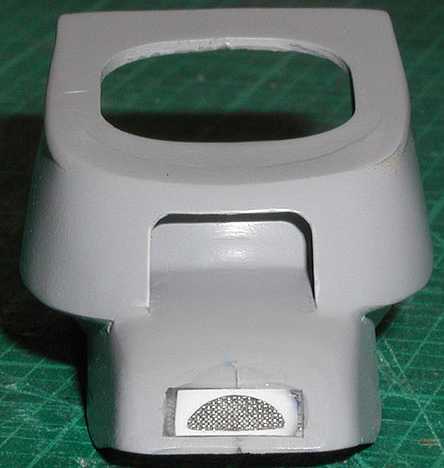 The parts are supplied with well-fitting locating holes and pins, a very welcome change from the vague attachment areas that are usually encountered in such sets. The instructions are well written, detailed, and comprehensive, and it all comes in a nice re-usable plastic box. Thoroughly recommended. I understand that these sets will be distributed in the US by Linden Hill Imports, and in the UK by Parade Figures. 2. 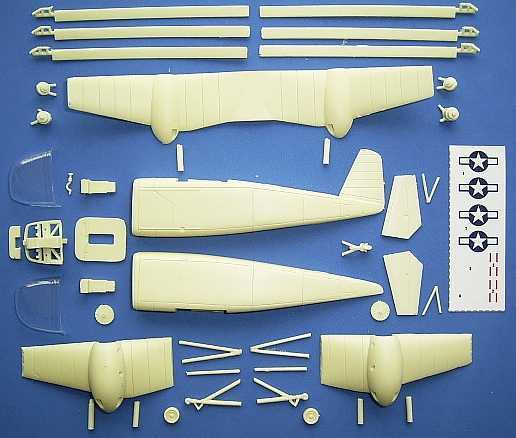 The latest 1:72 resin X-plane from Anigrand Craftswork is #AA-2024, the McDonnell XHJD-1 Whirlaway. 3. 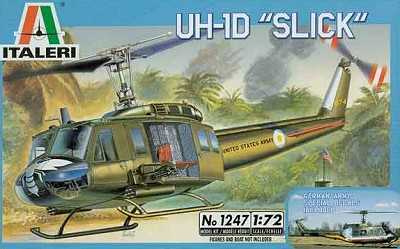 The 'new' Italeri UH-1D 'Slick' #1247 has been released, a re-issue of the much sought-after Esci kit. The boxart shows the first of these, which is very definitely not 'slick', and also has a small inset illustrating the German 'special'. 4. 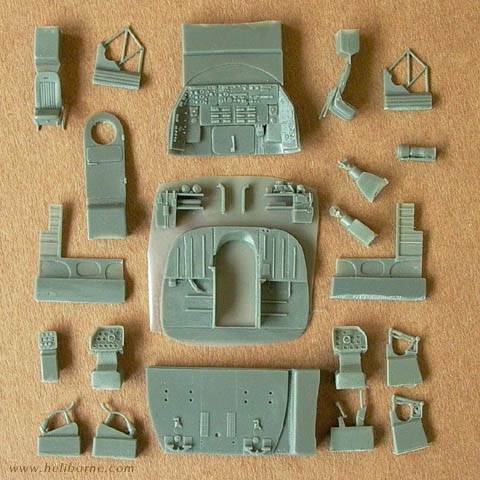 The 1:35 Trumpeter Mi-8/17 Hip has been thoroughly reviewed by Michael Benolkin at Cybermodeler. There is however a strong suspicion that Trumpeter have committed exactly the same well-publicised errors as KP and Zvezda before them when it comes to the shapes of the windows around the cockpit canopy. 5. 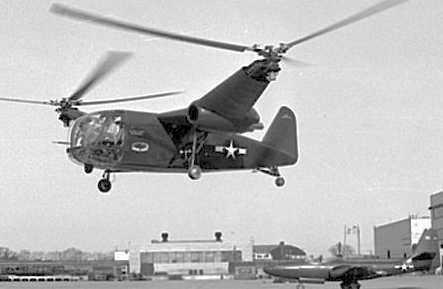 Academy's 1:48 CH-46E 'Bull Frog' is now widely available, and Cobra Co. have released their detail set #48035 for it (HKN #190). 7. Meteor seem to be progressing with the moulding of Floyd Werner's 1:35 OH-58D Kiowa Warrior conversion set, which they are intending will be ready in time for the IPMS/USA National Convention which starts on August 4th. The set will have the new forward cowlings, new ALQ mount, new ALQ 'pyramid' (for lack of a better word), new GPS antenna, upgraded APR-39 antennas, armor side panels for the cockpit and NVG formation lights. 8. 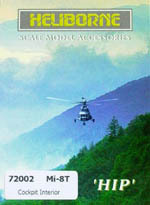 Nemrod have produced a pair of 1:35 resin figures which they call 'Equipage US Black Hawk', N35200. 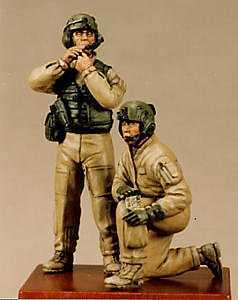 This translates as 'US Blackhawk Crew', and comprises a pair of flight-suited figures, one standing, the other kneeling. These are distributed by Historex. 9. Further reports on the recently released Airfix 1:72 Apache, Sea Cobra, and Puma kits vary widely between unfavourable and unprintable. It seems that the only reason you would contemplate buying these, especially the first two, is if you are one of those insatiable Airfix collector types, or incurably curious. But then if you are, you will doubtless have done so already. Thanks to Yevgeny Borissov, Michael Benolkin, Tony Morgan, Floyd Werner, and Ray Challoner.